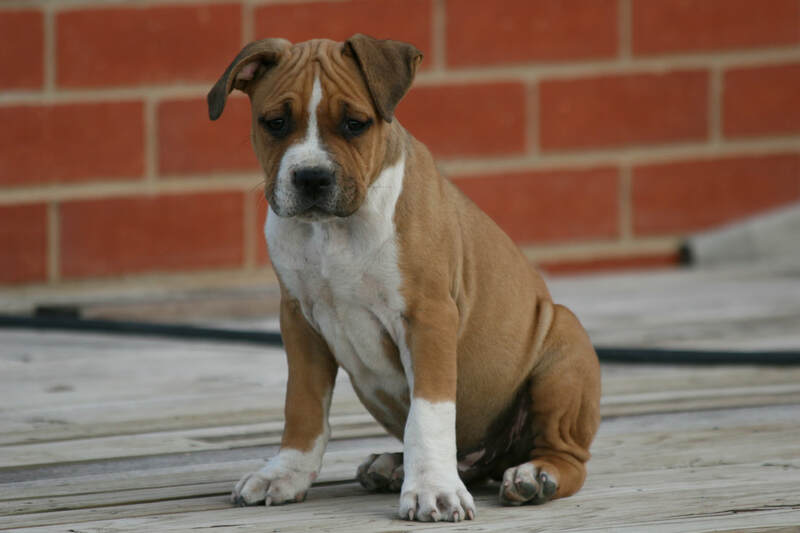 RuBIS, Multi BISS, Multi RuBISS, Aust Ch Rythmnblu Lil Hawiian Kuma (A.I.) 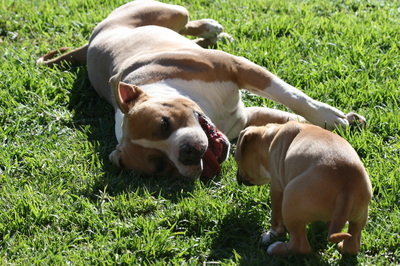 "Kuma"
Kuma, is an elegant, strong blue fawn with excellent movement. Although shown sparingly his results are a reflection of his quality. 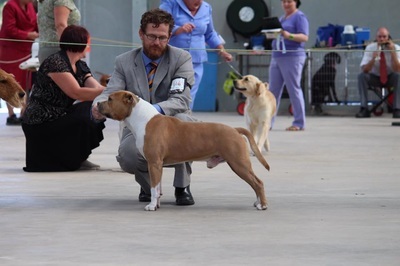 Kuma is a Multiple BISS winner in Qld as well as a runner up BISS winner in both Qld and NSW. A BISS open show winner in NSW and an All breeds Runner up to best in show winner in Victoria. 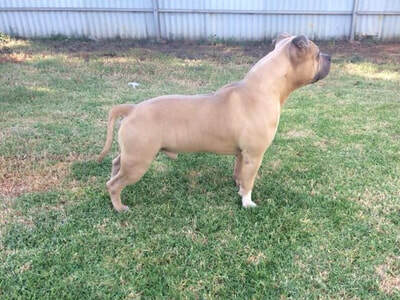 RuBIS BISS Aust Ch Rythmnblu Lil Gold Rock (A.I.) 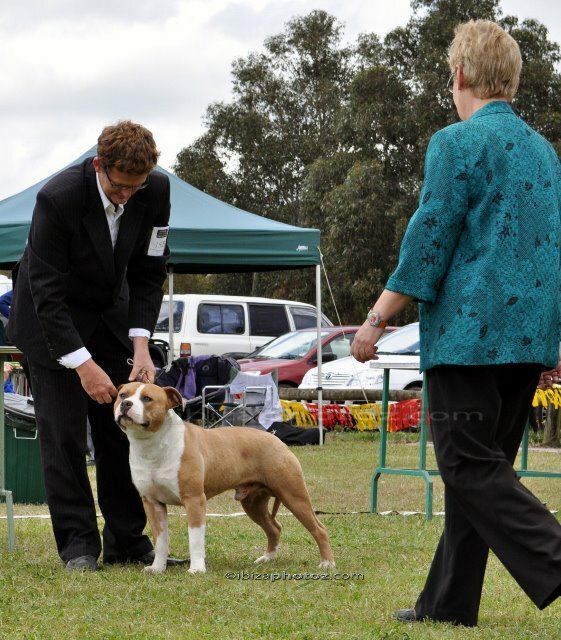 "Nugget"
Our resident "Boof Head" is a very solid blue fawn boy who has also done us very proud in and out of the show ring. 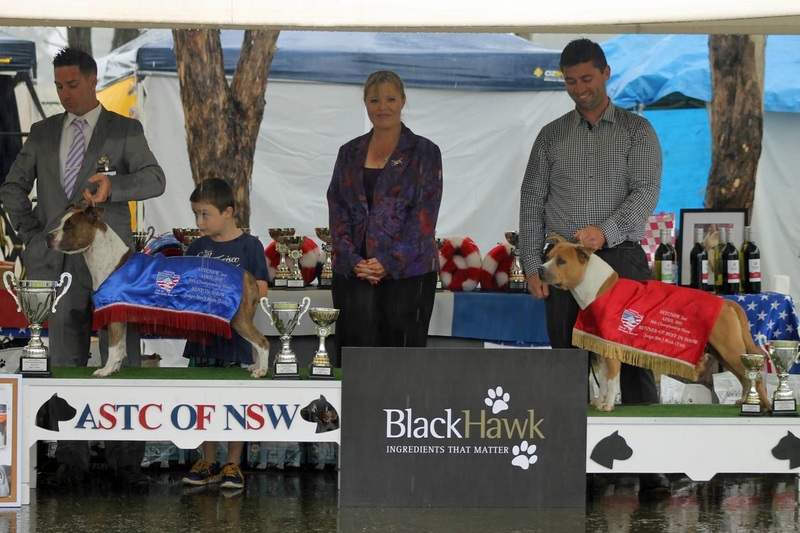 A BISS and RuBIS winner in NSW. 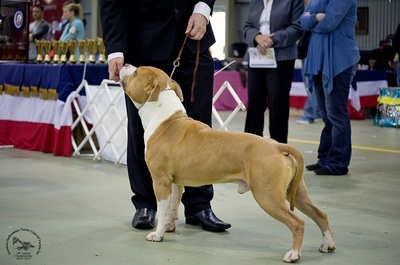 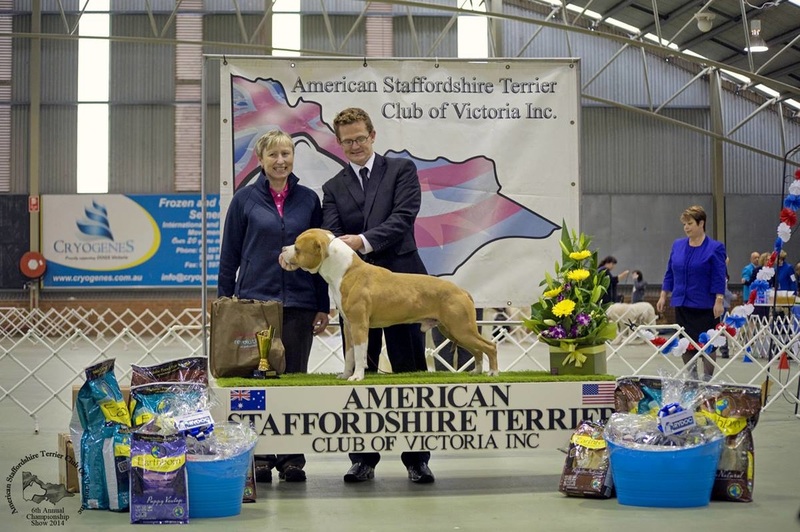 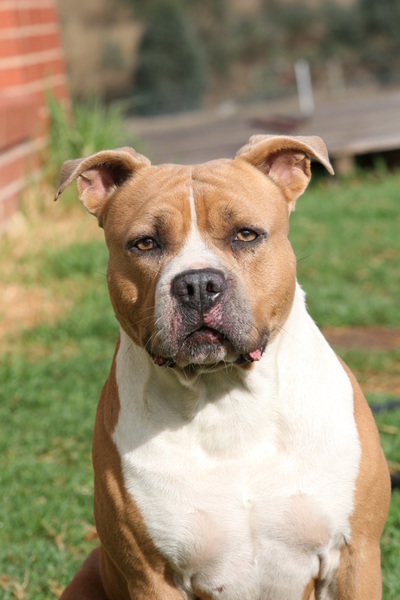 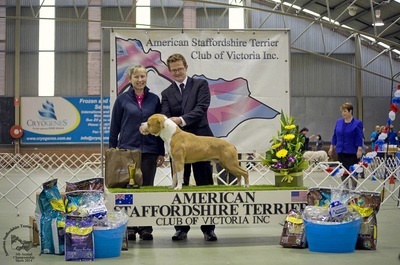 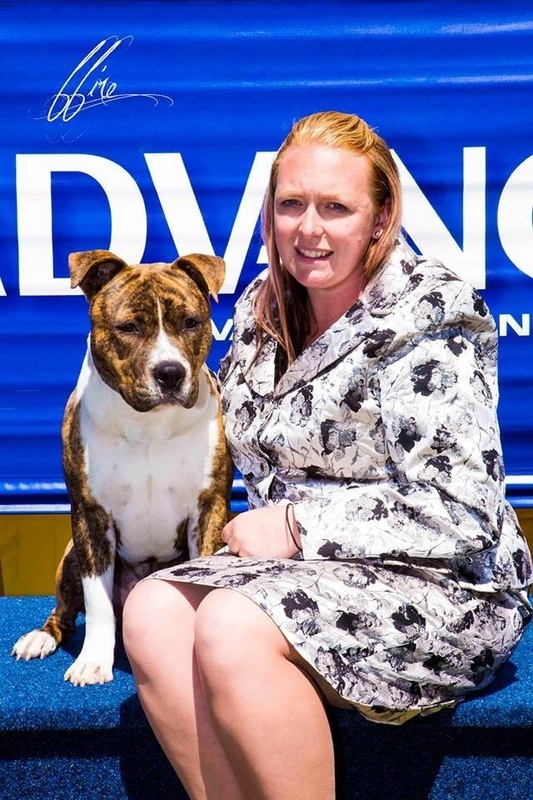 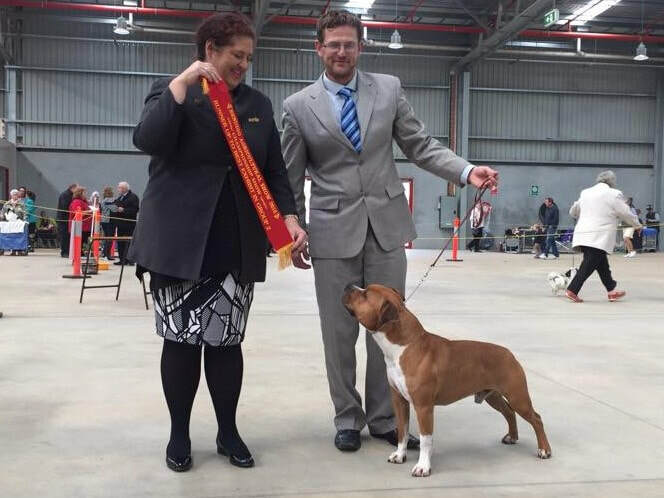 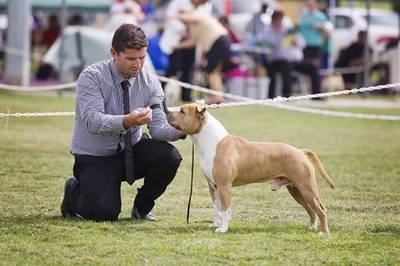 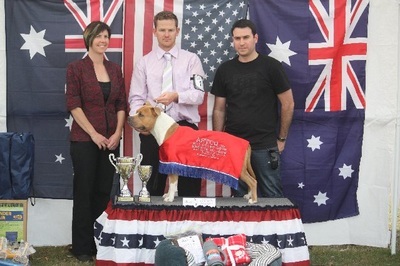 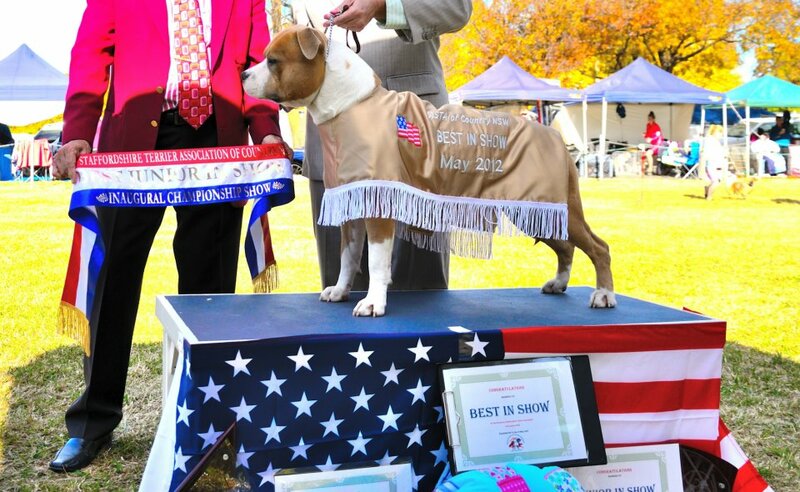 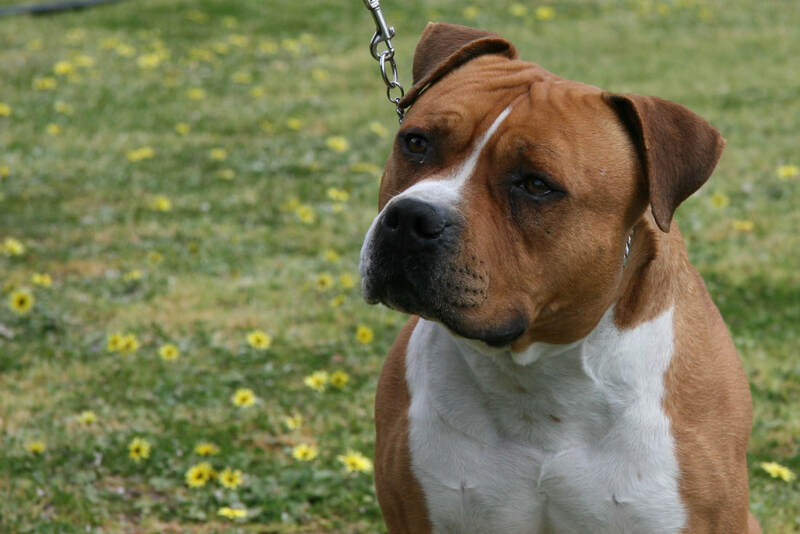 Multiple class in group and show winner, he is truly an impressive Amstaff. 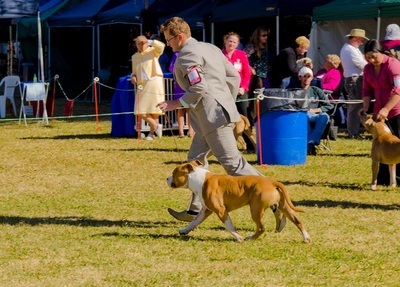 ﻿"Chief" AKA "The Farm Dog"
﻿Resides with and is spoilt rotten by Ern and occasionally comes out to some shows with me. 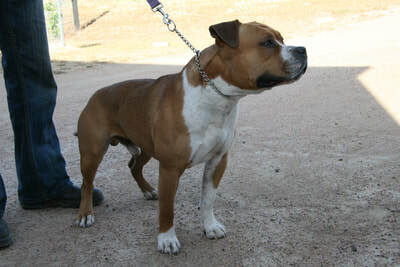 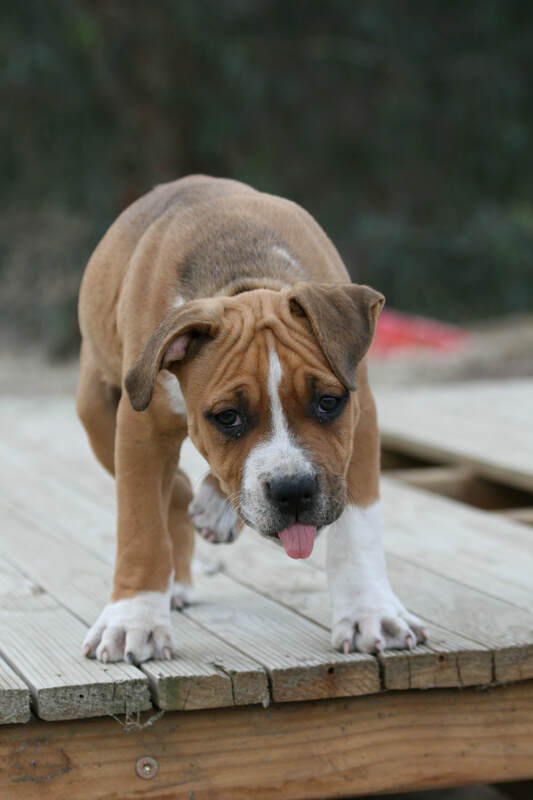 A stunning Red and White, standard height male with a can get the job done attitude. 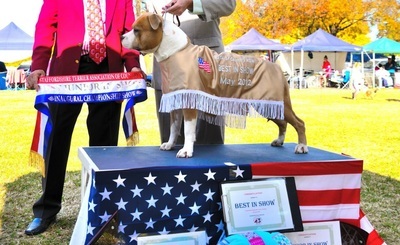 Shown sparingly, Chief has done well in the show ring winning in group and in show awards. 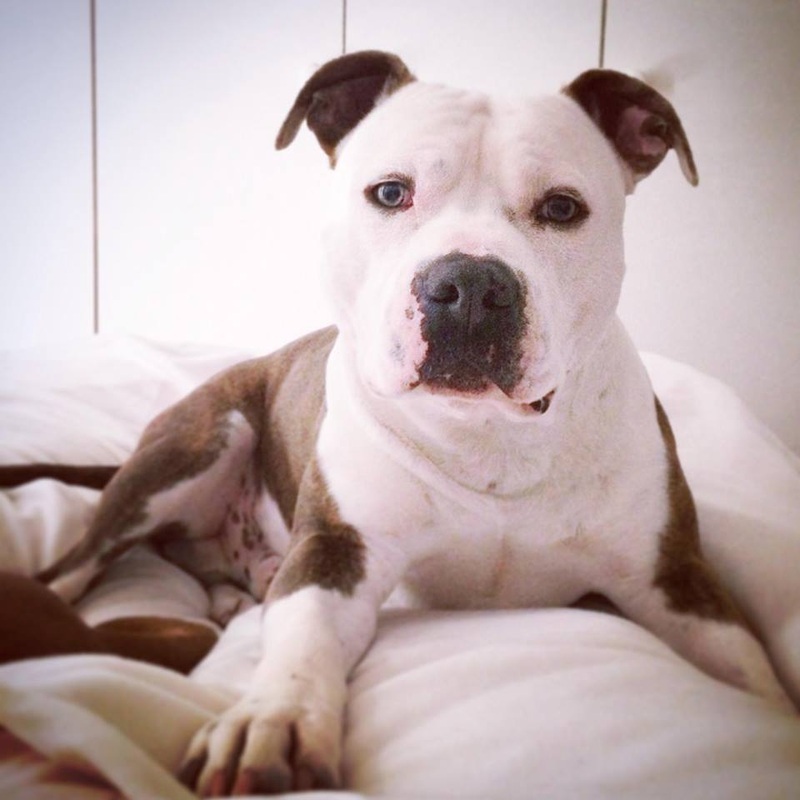 He prefers life laying on the bed eating potato cakes. 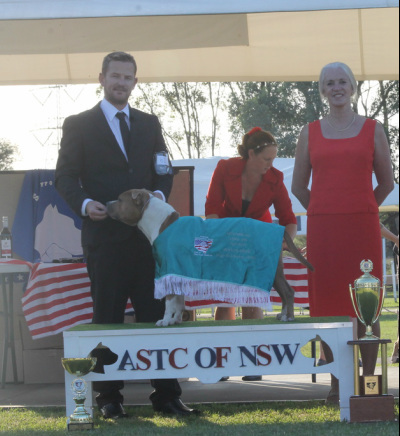 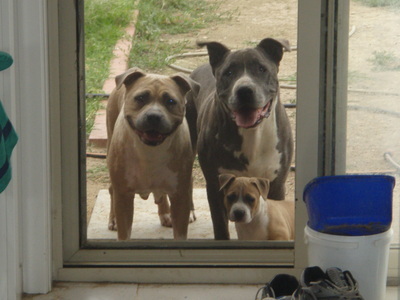 Always in our hearts: Aust Grand Ch Newbelle Blues Brothers E.T. 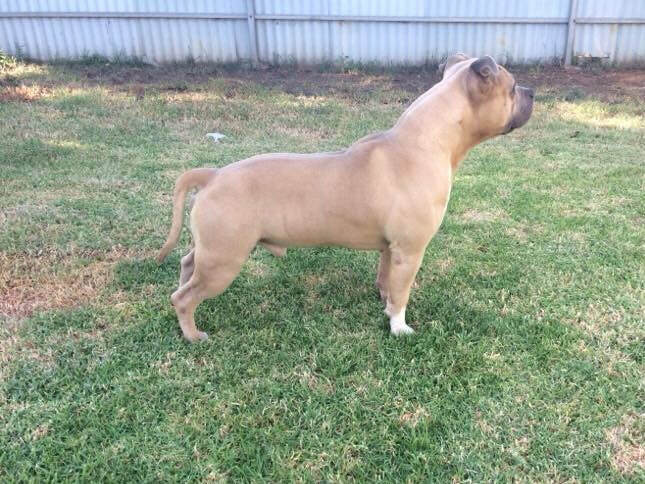 "Elroy"
Aust Gr Ch Newbelle Blues Brothers E.T. 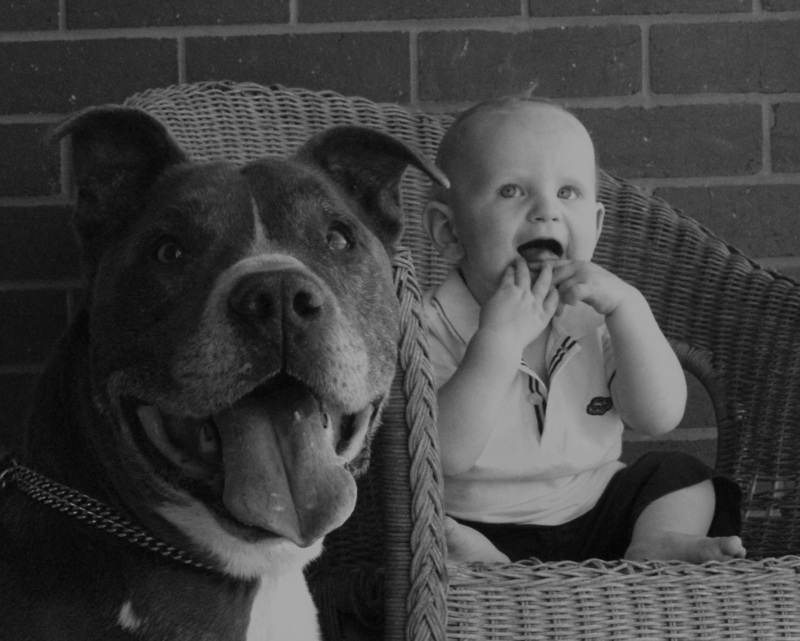 "Elroy"
It is with an indescribable emptiness and inconsolable sorrow that Suz and I announce the passing of Aust Grand Ch Newbelle Blues brothers E.T. 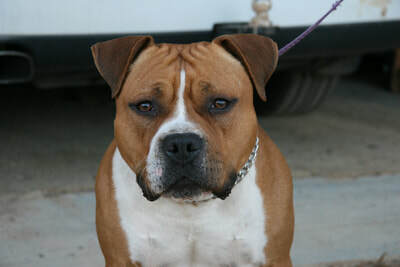 "Elroy". As I watched the life drain from your beautiful tired old eyes, you never lost that glimmer, that spark, defiant until the very end you old bugger. 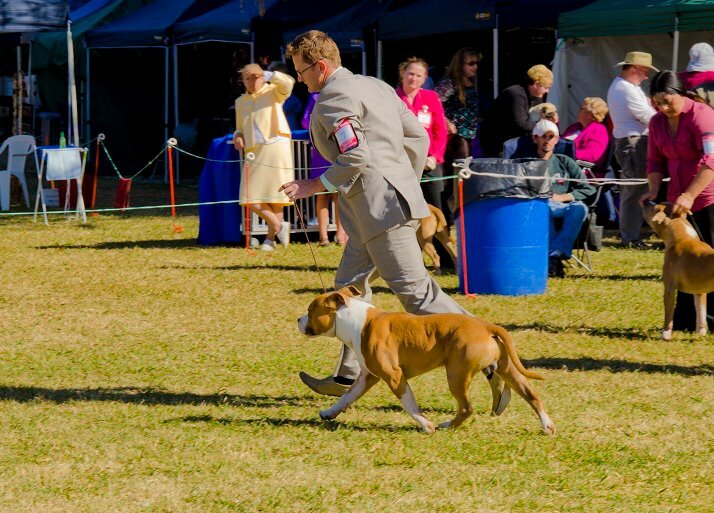 Free of pain to strut as if the whole world is watching. 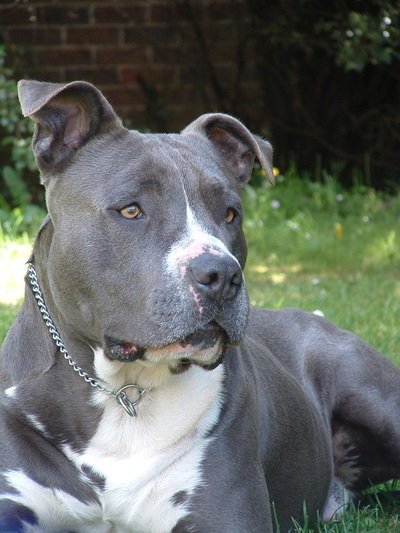 Rest In Peace my beautiful blue brother.